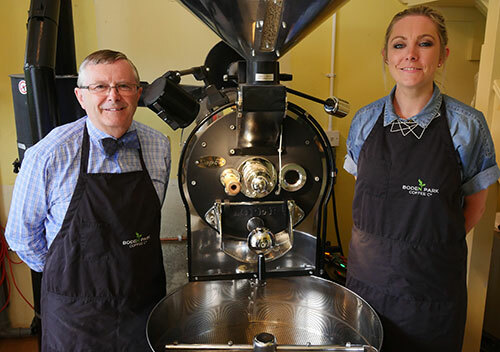 Father and Daughter duo Brian and Orla McKeating established Boden Park Coffee Company in 2013 and named it after the avenue of their first family home in leafy South Dublin. Inspired by cafes from their travels around the globe, the team were eager to bring a cosmopolitan feel to South Belfast while offering good food using locally sourced ingredients. Offerings include coffee fresh from our Roastery, Traditional Sandwiches and Home Made Cakes and Tray Bakes.